The fair took place under the auspices of the chairman of the rotating three-member Bosnian presidency, Bakir Izetbegovi?, also the president of the Party of Democratic Action (SDA), a conservative Bosniak nationalist political party. The organiser of the event was Bosna Bank International (BBI) in cooperation with the Saudi-based Islamic Development Bank (IsDB). 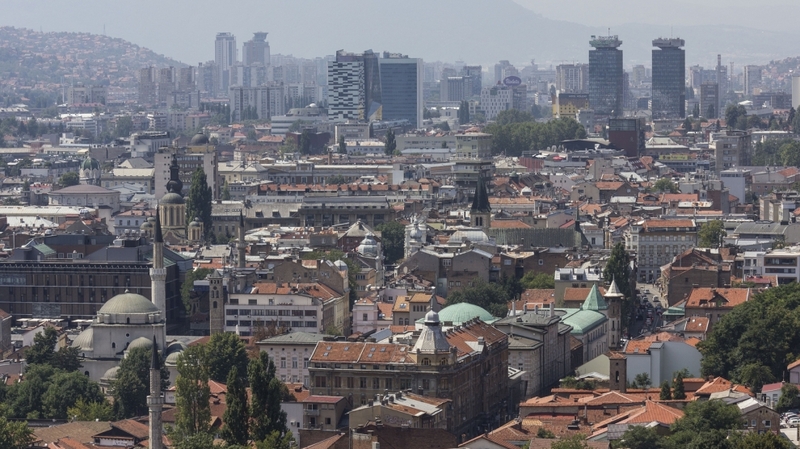 According to BBI’s website, it is the first bank both either Bosnia or south-eastern Europe as a whole to operate in accordance with Islamic finance principles. The Gulf-owned bank was launched in 2000 with support from the IsDB. Its portfolio today comprises retail and corporate banking services, as well as banking solutions for the large Bosniak diaspora and for Bosnia’s small-and-medium-sized enterprises and businessmen. The CEO of BBI, Amer Bukvi?, stated that the fair aimed to position the region as a centre for the production and distribution of halal products. “BiH, Serbia, Montenegro, and Slovenia have a very large number of halal-certified manufacturers trying to enter the market. The aim is to make a large fair—a large exhibition of all these products—and to bring distributors and suppliers from Turkey, Malaysia, Saudi Arabia, United Arab Emirates, Bahrain, and Indonesia, where large markets exist, to open the doors to our exporters,” Mr Bukvi? added in an interview with the Anadolu Agency, a state-run international news agency of the Turkish government.